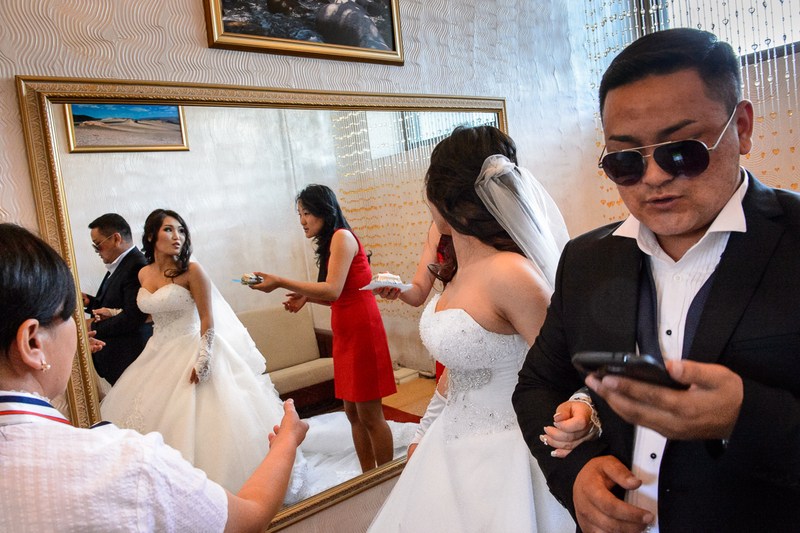 Ganbayar (29) and Enhjargal (23), moments before their wedding ceremony at the Wedding Palace in UB. That same day, an auspicious day in Mongolia’s Buddhist calendar, dozens of couples wanted to get married. Wedding ceremonies started as early as 5 AM in UB’s Wedding Palace, built by the Russians and the place where most of the city’s wedding ceremonies are held. Much planning of ordinary life is based on auspicious days on the Mongolian Buddhist calendar.